Pulsion Technology; a leading application development and cloud services company; are delighted to announce achieving Consulting Partner status with Amazon Web Services (AWS), further strengthening their cloud services offering. 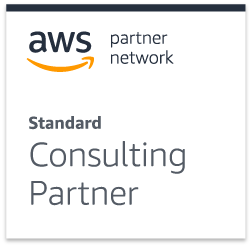 AWS Partner Network (APN) is a globally recognised partner program which certifies partners for their expertise in designing, architecting, building, migrating and managing cloud solutions built on AWS. Pulsion earning partner status reflects their skills and experience helping clients embrace the many benefits of AWS and implement cloud-based software solutions. Whether your business is thinking of migrating to the cloud or already on your cloud journey, Pulsion’s team of professionals can ensure a well-architected cloud solution to deliver superior functionality and scalability, whilst saving unnecessary costs and ensuring a secure system. This accreditation furthermore signals our ongoing commitment to personal development and training of our technical team and providing the highest standard of service delivery to our clients. 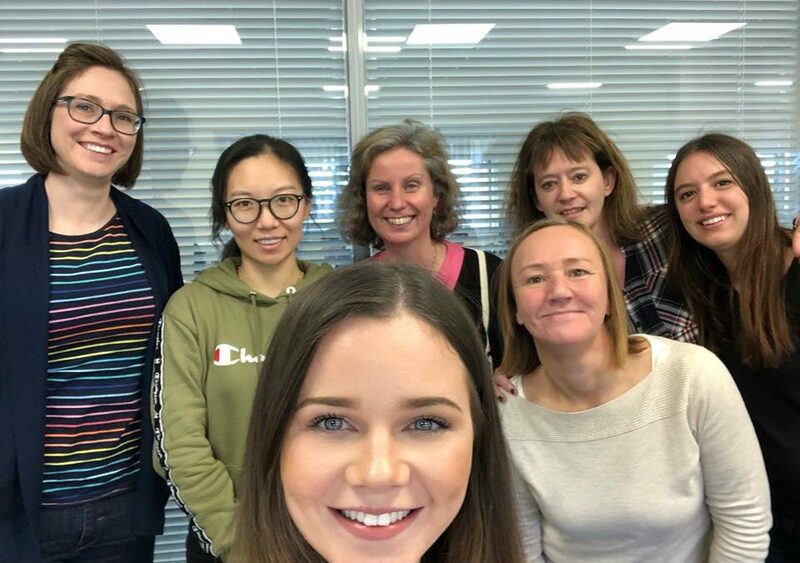 This International Women’s Day Pulsion asked some of our women in tech what inspired them to start their career in the technology industry and their words of wisdom to girls who want to get involed in technology! Francesca is an intregal member of our team, and has worked at Pulsion for 5 years! What first got you interested in technology? I’ve always been curious about how things work, especially computers! And therefore a university path that included IT was just a natural choice for me. Developing and improving my techical skills for sure! Do you feel there is a good gender balance within the industry? No, but the problem is not within the industry, the root of the problem is way deeper. There should be initiatives to change the way people look at IT and technology as subjects of study. The way girls are raised and how society presents the role of a woman in the family and in the workplace needs to change- girls should be encouraged to study tech subjects! What would you say to any women wanting to start a career in technology? That it doesn’t matter if you are a woman/girl, if you’re interested and passionate about something you should just follow your instinct and do it. Xiao has worked in the technology industry for 3 years, and been an intregal member of the Pulsion team for 1 year! Coding. I love seeing our products being used, that I’ve helped develop! Do you feel there is a good gender balance within the tech industry? No, even at college I don’t think there’s a good gender balance. I think there needs to be more training and encouragement about technology to girls, to improve their interest. Do it! Always try figure out problems by yourself and practice coding all the time. You’ll love it! Rachel handles all Pulsion digital marketing and has worked in marketing for 2 years. I love innovations and technology, I have done a lot of research into the use of technology within the fashion industry; using AI for ecommerce and wearable technology- really exciting stuff! Seeing innovative projects from start to finish, learning about new technologies and how people can apply them. Do you think there’s a good gender balance within the industry? At Pulsion, I’ve always felt like there’s been a great balance, but I know from University etc., the technology courses weren’t that well attended by females. But I think with encouragement there could be more of a balance. You’re not alone! There’s so much opportunity in this industry, don’t let you gender mask your desires. Even if you don’t see yourself as a software engineer or an IT specialist, this industry is so great to get in to and there is constantly something going on, it’s so forward thinking and creative. Even a career in graphic or digital design is really up-and-coming and will become an intregal skill in our world. Pulsion’s newest woman in the office! Carole has worked in the industry for 8 years. I’ve always been intrigued by computers and how it works, since I was young. I started to learn by myself rather early on, but also to find out if I loved doing this job every day and, therefore, pick my studies accordingly. Persoanlly, what I like the most is being able to learn continuously and to try new things, as this industry is constantly evolving. I also like to challenge myself and solve problems that I first thought would never be able to overcome. Do you feel there’s a good gender balance within the industry? I’m not sure, I think there are a lot more girls in the industry now, but there’s always room for improvement. Perhaps at school-level more girls could be encouraged to take an interest in technological studies. Stay curious and be keen on improving yourself, try new things regularly. You also need to be perserverant, as this job can sometimes be frustrating, if you’re stuck on a problem for a long time. But we’re strong women, we can handle it and it’s really worth it! If you’re thinking about starting a course in a technology discipline or even just kicking off your career, and you’d like to know more about the work we do, get in touch! We’re happy to chat! The rise of cloud computing has been meteoric to say the least. Intel reports that 93% of organisations are currently using the cloud and AWS experienced quarter on quarter growth of 46% in Q4 of 2018. Its popularity derives from the projections of added value in monetary saving, time and scalability through SaaS, PaaS and IaaS for day-to-day business activity. This blog will cover some things you may want to consider when moving legacy applications to the cloud. If we assume that you are a business and your legacy applications are your own enterprise systems, then it is likely that these systems are monolithic applications with a web front end (or even a desktop front end) with some sort of database behind it. These types of application can be ported onto virtual machines on the cloud. For example, Amazon EC2 and Amazon RDS can run a web server and relational database respectively. Database migration tools are provided by cloud providers which allow existing databases such as Oracle or SQL Server to be ported directly onto a cloud database. Porting applications without changing architecture is not generally a major issue but it does fail to take advantage of some of the benefits of a modern cloud software architecture. 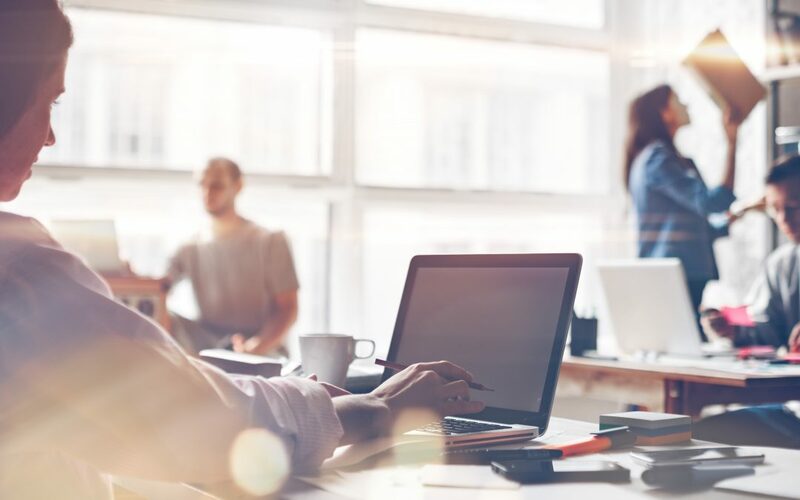 Whilst applications can pretty much be ported as is, many organisations will want to modernise these applications to improve their business agility or scalability. Older applications are unlikely to support an ‘API (Application Programmers Interface) first’ approach which can limit business opportunities in fast growing channels such as mobile or chatbots. So, what is the API first approach? Well it is highly likely that mature businesses, with their own line of business applications, have written those systems with a web user interface (or desktop user interface). In this type of application the user can only interact with the application through a web browser (or desktop application). However, in a modern world you have to consider a range of different user interfaces and channels such a mobile application, chatbots, machine learning or 3rd party integrations with different systems. In the enterprise, microservice architectures have been developed to segment business functionality and put APIs in front of core business functions so that a web, mobile or chatbot application can be built by stitching together a number of APIs/microservices to build a line of business system. This makes systems more flexible as new services or channels can be built more quickly. The latest cloud architectures support microservice architectures with ‘serverless’ functionality. Rather than writing code to run on a particular server or machine, cloud providers allow you to write code which just runs in the cloud and is dynamically scaled to match all workloads. You have no idea which server the code is running on as this is handled by the cloud provider. This type of functionality is provided by services such as Amazon Lambda or Azure Functions. These providers also supply API services (such as Amazon’s API Gateway service or Azure’s API Management service) which makes running APIs very easy. Serverless functions can interact with databases, queues, file stores and messaging services, amongst other services. For many businesses moving to the cloud is daunting enough so many simply port their existing architecture (front end user interface with backend database). There is a middle path to tread between existing architectures and new architectures since some companies do not want to completely rewrite a system. Indeed, this middle path can sometimes give the best balance of cost versus business agility. This is sometimes known as ‘breaking the monolith’ and involves breaking a monolithic application into services as required. This requires careful planning and architecting but, rather than rewriting a whole system, parts are moved into serverless architectures until eventually the entire application is API first and serverless and can take advantage of the benefits offered by the cloud. Moving to the cloud is something that every business should already be looking at. The benefits are huge in terms of delivering systems that are quicker to develop, quicker to deploy, more flexible, more scale-able and generally more cost effective to run. There are a huge number of options and services available which can make it daunting but, in an uncompromising business environment, the risk of not embracing new technology can make organisations uncompetitive. With the right advice and careful consideration moving legacy systems to the cloud should not be something to be afraid of. Search engine optimisation (SEO) is considered necessary in modern organisational operations, the online world demands an effective digital presence for businesses to be effective. Some say the best place to hide a dead body is on page two of Google search. Highlighting the importance of online recognition and high ranking SEO! Therefore, this blog will look at the top tips, we recommend, for optimising SEO for your organisation. Google adwords is an online advertising platform created by Google – imagine- where you can pay to display advertising on the search engine. This means you will be visible to a targeted audience when searching for what your organisation offers the market. Google Adwords also displays adverts outside google search engine on search partners websites. This is a considerably effective investment for improving SEO- SEO grows when your site gets more interactions, views and visits, hence why you would try to increase those numbers. Google adwords is therefore an effective investment in populating traffic on your website. Understanding your audience is an effective way to optimise SEO; this means having an idea of what will be typed into search engines and what the end-goal of search is when finding your page. In order to refine and define whom your target audience is think about the service or product you are providing and what sorts of benefits a consumer would gain from your organisation. Segmentation and clustering techniques can help refine a target audience, this audience doesn’t have to be niche, but they will share a common interest that brings them to your website. Google analytics and adwords can be furthermore utilised to discover keywords that people use in reference with your organisation. You can also develop negative keywords- words that are similar to your keywords but potentially reach a customer searching for a different product/ service- anything that may push your organisation to the top of the first search engine page. Google adwords, keyword planner and Google trends are tools that discover worldwide keyword usage and popularity out-with your website. One way of creating keywords within your webpage would also be to make a list of important and relevant topics based on your business, then discover the most appropriate words associated. This can be complimented when you then optimise your titles, URLs and descriptions; page descriptions can also include keywords and make your page rank higher! Therefore, understanding what your audience are typing in and additionally what Google recommends as popular topic keywords, will ultimately increase your chances of being noticed. Social media has recently been incorporated to accompany website SEO. Encouraged massively through the influence and dominance of social media in digital marketing strategy and organisational strategic planning. According to Hootsuite (2018) social media helps search rank, search visibility, and domain or page authority, which refers to the strength of the website in relation to specific subjects. Therefore, having an active social media presence is not only useful for marketing purposes but also for improving SEO. If your organisation does not currently have any social media platforms, a recommendation would be- get one! Sometimes your organisation and industry can suit all social media channels, and it does not hurt to ensure you are covering all, however understanding your audience and marketplace is fundamental to optimising the correct channels, where you will get the greatest engagement and interactions, thus proving a beneficial backlink to your website and creating SEO dominance. An alternative way to boost SEO is through an efficient website audit. A website audit includes reviewing relevant information to determine the influence and rate of interactions your website gets, where your traffic comes from, geographical areas, bounce rates etc. From here you can make a rational expectation of the user journey, what pages they are landing on, dropping off from and can compare the number of users your website receives each week. This then allows you to optimise certain pages, understand your audience and market trends and can assist the previous 5 tips for keyword creation, google ads etc. Ensuring that the speed of your website and ability to navigate is also very important, the website must be easy for viewers to use, which ensures more conversions and compliments ranking. With a faster loading website, users are more likely to visit more pages on their visit, therefore a website developer should then have the responsibility to ensure this. A mobile friendly, fast, website also aids ranking; conducting the website audit should cover all search engines and platforms, as without your website will experience a huge drop in traffic and thus SEO. Furthermore, it is not only good practice to conduct your own website audit, but to also do a competitor analysis. Watching competitor activity is a good benchmark for the type of content to put upon your webpage and how to compete with them to get your organisation higher ranked on search engines. For more tips and advice feel free to get in touch! Running a complex software development project without a Project Manager would be comparable to a ship without a Captain – very likely to hit the rocks. The Project Manager has the responsibility of planning and execution of the project, ultimately managing and maintaining the progress, interaction and tasks of the project team in such a way that reduces the risk of failure, maximizes customer benefits and minimizes costs. Implementing the wrong management approach can spell potential disaster. Adopting waterfall rather than agile might deliver what was asked for by the business, however may not actually result in what was needed. With this is mind, it’s imperative that the Project Manager has a clear understanding of the requirements, expectations, milestones and deadlines and adopts the most suitable management approach for the project. In the event that the project has a very tight and compelling deadline, adopting an agile management approach means less time spent on requirements gathering at the outset of the project. This approach allows for the project scope to change rapidly and frequently, by placing emphasis on stakeholder involvement and communications. This process needs to be highly managed with a close eye kept on resource utilisation, project costs and output expectations to avoid the situation spiraling out of control. If the stakeholders have an exact idea of their requirements (ie porting from a legacy system), then waterfall may be best. This method is based on progress flowing steadily through the phases of conception, initiation, analysis, design, construction, testing, production/implementation and maintenance. However, also having a thorough understanding of what the business needs (as opposed to what they want) is essential in order to deliver the final product or solution that works best. It is essential that the Project Manager has open lines of communication with all stakeholders and end users. They should be empowered with the appropriate level of authority and possess effective relationship skills in order to make things happen and effect change on a day to day basis particularly when resolving any challenges and ensuring that the all relevant parties live up to their responsibilities. Inevitably, with complex technical projects, the technical detail can become baffling to most observers, however to the Project Manager, they need to be able to understand at a high level the technicalities and their potential impacts on project delivery. The Project Manager isn’t going to be writing code or creating technical architecture, but they do need to possess a level of technical understanding in order to communicate effectively with everyone involved without having to call upon the support of a technical authority to translate at every turn. Finding and keeping experienced Project Managers in today’s competitive market can be tricky, however this resource is imperative to the successful outcome of any large project and shouldn’t be overlooked. In the next post, we’ll consider how technology and in-house IT resources can impact successful project fulfilment.